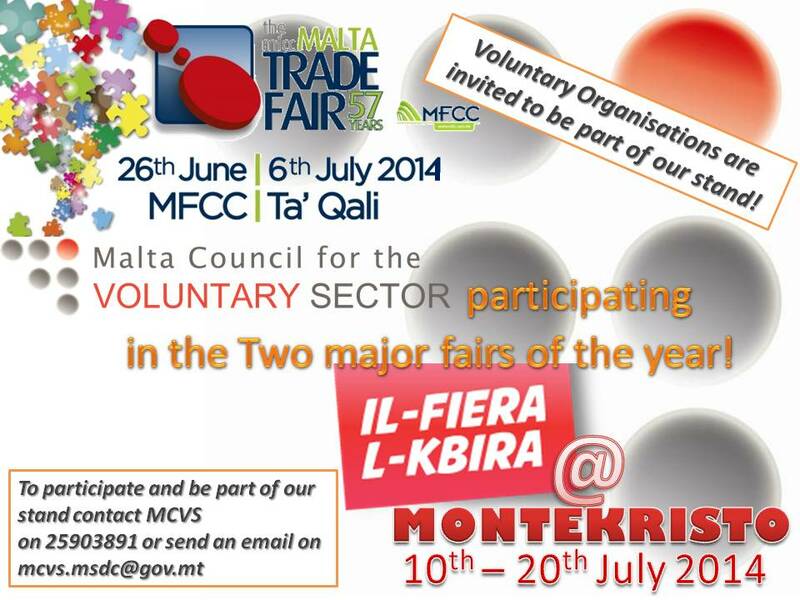 The Malta Council for the Voluntary Sector is pleased to inform you that this year we will be participating in two major fairs of the year; the Malta Trade Fair and ‘Il-Fiera l-Kbira’. 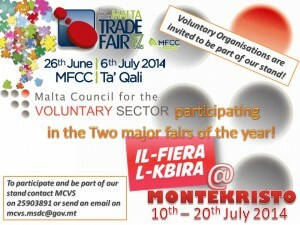 The Malta Council for the Voluntary Sector is inviting your Organisation to contribute in our stand to promote your Organisation. Enrolled Voluntary Organisations interested to participate in this initiative are to send their details and the date they wish to participate on mcvs.msdc@gov.mt. An Organisation can participate in both events. Please note that only 4 Organisations can take part per day.